Many of the world’s landscapes are lost to us. They’ve vanished from our lives, become extinct. But they’ve disappeared not because of urban sprawl or the pressures of tourist development. They haven’t disappeared due to deforestation or a toxic accumulation of pollutants. Nor have they vanished because of weak legislation or the lack of political will and the funds necessary to secure them. Many of the world’s landscapes are lost to us because they’re invisible. We don’t see them for what they are. While nations may try to preserve and protect a handful of ecologically significant areas within their borders, the total area these parks and reserves amount to in relation to a country’s land mass is minute. Much of Europe, much of the world perhaps, is actually composed of what could be described as ordinary landscapes. They’re the everyday places, like the fields and hills we pass on the way to work. They’re the areas at the edges of our cities and villages, such as old orchards and weedy wastegrounds. They’re the places we might visit on a summer’s afternoon –a small urban woodland or a pond to picnic beside, perhaps the ordinary shore of a lake. To describe a landscape as ordinary is to say that it is considered to be common and, on the surface at least, undistinguished. Generally it’s a place that’s not protected in any real sense. It rarely contains any significant cultural monuments, nor is it the focus of international work on habitat preservation or rare species protection. It’s a place that is of little conventional value and often not even particularly aesthetically attractive, being made up of an odd assortment of habitat fragments or existing on the fringes of agriculture and development. But these ordinary landscapes are of extreme importance, not because of their abundance, but because it is where connections with the natural world can most easily and enduringly be made. Prespa is full of such places. Although Prespa as a whole is seen as extraordinary, there are many less-celebrated landscapes within it. While Lesser Prespa Lake, with its important breeding colonies of rare water birds and its island of rich Byzantine monuments, is rightly regarded as both the ecological and spiritual heart of the lakes basin in Greece, there is an extensive ‘body’ that surrounds it. The Prespa basin is a great mosaic of landscapes that continue to evolve, both naturally and as a result of human activities. These range from the steep surrounding mountains once terraced by hand to agricultural fields only recently claimed from wet meadows. 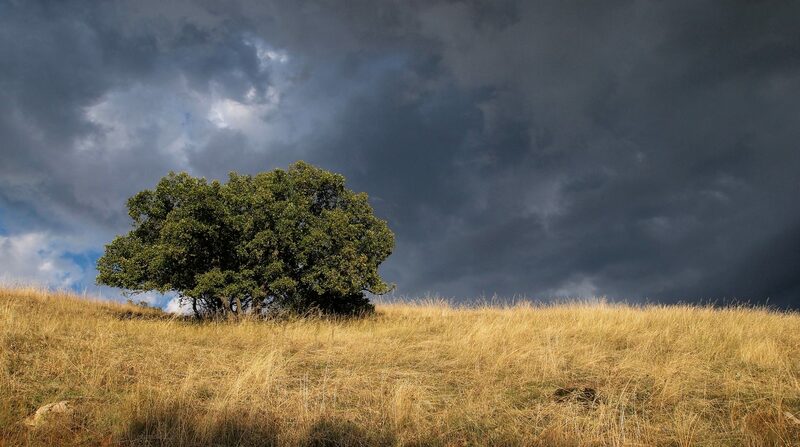 There are dense forests of beech and oak, and stands of old junipers; along with orchards, hedges and river corridors that break up the agricultural plains. But there is one particular Prespa landscape that I find myself returning to year after year, and season after season: the shore of Great Prespa Lake in Greece. The lakeshore landscape is a recent phenomenon. Although the exact causes are unknown, the water level of the lake has dropped considerably over the last half-century. While the water loss is mourned by many it is only one of a number of transformations taking place along the lakeshore: a progression of new habitats is quietly taking the lake’s place. In essence, the ancient lakebed is rising to the surface. As you approach the coast from the isthmus that separates the two lakes you are in fact passing over a series of old shorelines, each flavoured according to the conditions when it first emerged, and the flora and fauna that subsequently made it home. These emerging habitats occupy a long, curving ribbon of land adjacent to the shore. There are wide bands of sandy scrubland, dotted with wild roses, brambles and a variety of wildflowers. A dense forest of silver birch and poplars has sprung up towards one end of the shore, where the silver birch reaches its most southern distribution within Europe. Reedbeds spread thickly in places. A long line of willows follows the river to the lake, where an ever-changing estuary remakes itself each day. A seasonal string of clear-water pools lie close to the lake and, in recent years, an extensive marsh system has claimed parts of the shore. This landscape has come to feel like home to me. What first led me to it, though, was its unprepossessing nature. It was rarely visited and I heard few people speak about it. It appeared to be a landscape of little distinction, an ordinary place. But even ordinary places contain wonders. When it comes to wonder and the natural world, children are the true specialists. They are particularly open to that state of astonishment that we associate with awe. A child, in the most common of landscapes, is capable, through a combination of intense perception and imagination, of discovering an entire world in the smallest fragment of nature. It might be among wildflowers and weeds at the edge of a scrubby field where an iridescent emerald beetle or the bright flight of a butterfly can hold a child’s attention for several minutes. It could be along a river bank where a child excitedly follows an oak leaf as it travels downstream. It might simply be the prints of an animal, perfectly preserved by snow, that captures a child’s imagination. What is so remarkable about children’s perception, even more so than its intensity, is that it is characterised by an equality of interest. Everything a child encounters in nature, no matter how small, offers possibility and is therefore equally fascinating. Children make little distinction between major and minor motifs. A feather found on the beach is as wondrous as the creature it belonged to. As childhood is left behind, adults tend to shed that capacity for curiosity, that spirit that animates the smallest of things. We yearn for greater and faster excitements; we seek larger vistas, grander views. But in a contemporary Western world increasingly obsessed by speed, style and seduction, there is perhaps all the more need to reclaim the ordinary, to celebrate the everyday. Because the ordinary, when perceived in the spirit of curiosity, is actually extraordinary. The American writer and naturalist, Barry Lopez, once wrote that ‘with the loss of self-consciousness, the landscape opens.” This, I believe, can be understood in two ways. First, when we let go of our constant self-awareness and regain something of a child’s immense curiosity and interest in the world ‘out there,’ the world around us, we become more attuned to its wonders. Leaving something of our self behind, other lives arise in its place. That is when the ordinary transforms into the extraordinary, and a landscape like the shore of Great Prespa Lake becomes something else. In spring the ponds at the edge of the lake fill up with terrapins sunning themselves on sticks, electric blue damselflies skate through the air above them and millions of tadpoles wriggle past water snakes coiled beneath the surface. The willows along the river resound with the liquid calls of golden orioles and bee-eaters fly overhead like a scattering of gems. At times a dusky red fox will scour the beach in sunlight alongside egrets and herons, all slowly circling each other as though in a dance. But these wonders are perhaps too obvious. They are emotionally fulfilling and difficult to miss; they are bright with beauty and colour and grace. Barry Lopez’s assertion about landscapes, however, provides a second clue to engaging more deeply with place. To be self-conscious means not only to be aware of one’s own mind and actions, but to be conscious of being observed and therefore embarrassed as a result. Self-consciousness prevents us from doing many things, but in the case of a landscape it can stand in the way of knowing it. Landscapes are best learned through proximity. Wherever children go, they are tempted to climb trees. They slither through long grasses like snakes, eyeing up insects excitedly from their own height. They make hide-aways in dense shrubs. Children catch frogs in their hands and then slowly open their fingers to reveal them. They collect caterpillars in jars, fascinated by the coming transformation. Children’s inquisitive experience of the natural world is hands-on, intimate and utterly without self-consciousness. They are part of a place, not distinct from it. When we approach similarly, with a sense of freedom unburdened by embarrassment, we open ourselves to the quieter aspects of a landscape. How the light falls through the willow leaves, passing through them like waves. How bear prints and otter tracks lead us first along the beach and then into their lives. The way tiny, resplendent butterflies gather around a flower. There are the curious sounds of water and reptiles in the marsh. How the wind breathes mysteriously through the reeds, their seeds catching the light as they float above the river. The way the bark of a silver birch feels like ancient paper in our hands. Walk into any pocket of the shoreline landscape and there is a world of new moments unfolding. All landscapes contain the seeds of astonishment. Whether we let them take root or not is up to us. But if we become aware of the wonders within easy reach, those close at hand and part of our daily experience, then the everyday places that we live amongst become less easy to dismiss. The greatest threat facing many landscapes is their assumed irrelevance. When a place is perceived to hold little of interest or importance then a whole landscape can turn invisible, and be treated accordingly. Though any child will show you there is no such thing as a place without interest. A landscape deemed irrelevant can be regularly threatened by damaging activities. 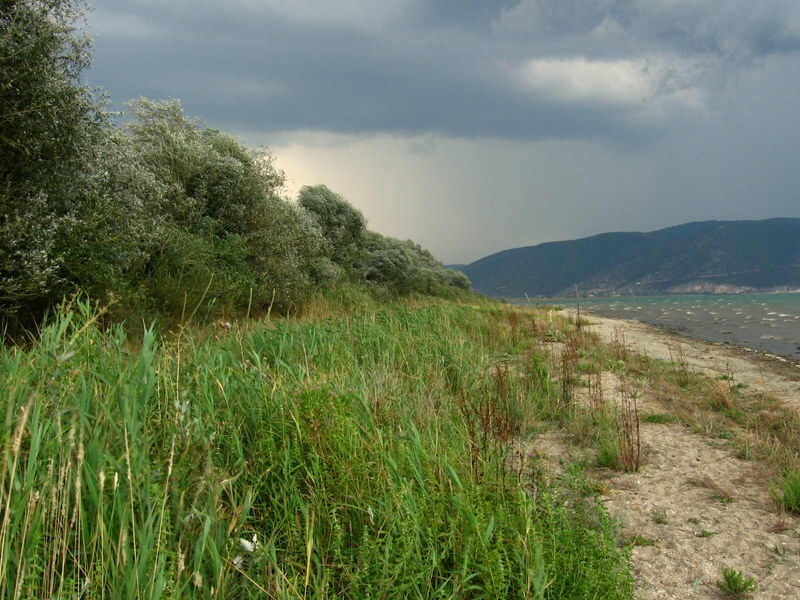 Along the length of the Great Prespa lakeshore in Greece sand is continually being illegally extracted to make cement, eradicating the fragile ecosystem of wildflowers and grasses. The dumping of household and building waste is common. In recent years, shepherds have moved their flocks into the area on a nearly permanent basis, upsetting the traditional pattern of rotational herding, and the consequent overgrazing, tree felling, erosion of the river banks and random reed and tree burning has greatly disturbed the integrity of the place. There is increasing waste washing ashore from fishing boats and visitors leave behind a great volume of garbage that is not collected by the municipal authorities. Many common landscapes suffer this casual disregard, and Prespa is no different. The old notion of ‘out of sight means out of mind’ seems perfectly suited to our relationship with ordinary places. To discover wonder in a place is to begin to feel affinity; it offers the possibility of approaching all landscapes with equal interest. Ultimately landscapes can be transformational. As much as the large Prespa lake is changing and making way for something else, to enter that shoreline world in a spirit of curiosity and attentiveness is to allow ourselves to be changed. Each time we engage with a landscape we are offered the opportunity to remake it through awareness, by being open to the extraordinary within it. Even the most common of places can come alive and take root in our inner lives. A single small spark, as children demonstrate so very well, is often all it takes. And when a landscape is no longer invisible but revealed for what it truly is, then that landscape stands a chance of connecting with our lives. If that happens, we are less likely to let it disappear. In response to the diversity of fascinating comments and thoughts regarding ‘The Fragile Forest’ post I decided to rework a presentation I gave here in Prespa at a conference concerning wetlands and conservation a couple of years ago. I was honoured to be asked to participate among a range of scientists and academics working to preserve wetlands throughout the Mediterranean basin. Coming from southern Europe, the Middle East and North Africa, the speakers helped me realise over the course of the conference how varied the approaches to conservation must inevitably be to deal with localised issues, traditions and specific, historic relationships to the land. Reflecting the plurality of peoples and places about us, a diversity of preservation and sustainability methods is required, including economic, educational, political and artistic approaches. One particularly inspiring idea that I learned about from Assad Serhal, director of the Society for the Protection of Nature in Lebanon, concerns the restoration of the Arabic ‘hima’ system to parts of the Middle East, a traditional form of land use reaching back to the 7th century and aimed at economic well-being along with the protection of biodiversity. For anyone interested in learning more about the ‘hima’ there is an excellent article here together with a gallery of wonderful photographs. A wonderful post, so much truth. What spurred us on to become in touch with the landscape was our trip to Alaska a few years ago. There is nothing more zen-like or purifying for the soul. Your words need to be heeded, people need to become more aware. Thanks for this terrific and necessary post. Thanks, Kathleen, for listening and reading over these many months! Much appreciated. Thanks! Delighted you liked it. I love the sound of learning from one’s daughter, like completing a circle! There is something so wonderfully irrepressible about children and nature, if only we can get them into it in today’s technological world. Many thanks for reading and taking the time to comment. Thank you for sharing your perspective. Your appreciation of the natural beauty all around us is skillfully expressed by your words and pictures. My thanks for taking the time to read what is a pretty lengthy post, Hunter! Glad you enjoyed it. There is nothing more haunting or magical than fog — love that pic! I agree! Fog does astonishing things to a landscape and its moods. Thanks for reading. good place for tour. i like it. thanks for your sharing to us. The wonder of the details, the small pieces of beauty. and congrats for being Freshly Pressed. The small details are so often far larger than they seem…thanks kindly for reading! May we become again as children. Indeed, JE. A fine sentiment, and many thanks for reading over the many months that you have. Your continued interest is much appreciated. Good post! Wonderful views, thanks for sharing your insights. As you so rightly point out, ‘all landscapes contain the seeds of astonishment.’ Perhaps more of us could ‘think globally and act locally’ by consciously interacting with the ordinary landscapes we find directly around us, wherever we happen to be, becoming more and more intimate with our local place on the planet. As always, Barbara, you’ve offered a profound quote that’s so apt to the situation. Many thanks for reading so regulary and bringing your thoughts to the issues, including those brought up in today’s post. An intimacy with the local is just what is needed. Hope you’re well. Fantastic pictures. My heart jumped a little, I thought it was at home, one of your pictures, where I come from. It could have been, but we don´t have turtles there. We used to have “tin-cans” (?) where my parents burned our trash/garbige, before the renovation companies or the leadership of our community forbid people to burn the trash in their own gardens. – “Wildlife”; we didn´t live very close, so it was no problem. Thanks for sharing your photoes. PS: That flower, isn´t that the national flower of Scotland? Thanks so much, Runa! It really fascinates me when images can conjure up memories and recollections of other places for people. The number of times that I’ve been somewhere that reminded me of somewhere else; one of those many moments in life that are intangible and ghostly in some sense. And the photo is of a thistle – I can’t say for certain whether it’s the same as the Scotish thistle, but it is certainly a relative. I appreciate your comments, and for taking the time to read. Cheers! Your photos are amazing and give me one more reason to want to visit Greece. Years ago my wife and I lived by the ocean. We always hated the tourist season because of the trash. How could people take such beauty for grante? she used to say. Thanks, Rufus! It’s an amazing country to visit, with a great variety of landscapes, places and people, and I’m sure you’d find a lot of travelling joy here. As you rightly say: how do we take beauty for granted? Delighted that you liked the post, and thanks for taking the time to read it. I couldn’t agree more, C.B. I love the way you phrase the “fragile little pockets of beauty,” those places that are there when we tune in to them. Thanks so much for reading, and for the thoughtful comment. Euxaristo poli, Sotiri! Delighted that you liked it! Thanks for taking the time to read. You are a beautiful writer. And that comes not from picking nice-sounding words but from thinking about things clearly and with originality. Thanks for the very kind and generous words, Jenny! I deeply appreciate you taking the time to read and comment. Well said, and very true. Thanks for reading, and glad you enjoyed it. thank you for this beautiful photographies, for the text and audio ! My pleasure! It’s the first time I’ve included audio in a post, so I’m delighted you enjoyed it. Thanks for listening, looking and reading! Beautiful pictures. I love the one of the butterfly on the flower. Great job! Thanks kindly! I love spending time trying to photograph butterflies in their brief twirl in the sun. So glad you enjoyed the post; I appreciate you taking the time to read it. I wish I could have been with you on this particular journey. Your work is lovely; dark and moody. The death juxtaposed w/ eye-popping colors of the living. Nice stuff. Thanks. Thanks for reading! Glad you enjoyed it. Fantastic essay- with fine pictures as a bonus! Thank you – so very pleased you liked it! I appreciate you taking the time to read the post. All of the photos are beautiful, but your shell photo is especially captivating–perhaps because of its unusual convergence transposition of two settings? I could stare at it for days, were I not at work. Still, even at work, I thank you for opening my eyes to the wonder that’s waiting for me to see it . . . if only I can remember to really keep my eyes open. Thank you, Deborah. The shell photo remains one of my favourites. It was taken in the middle of winter when everything about the land seemed so quiet and empty. And as I walked near the shore of the lake I found the moss emerald green against a rock, with the shell perfectly centered. And I realised that even when everything seems still and silent there are always things and colours and textures of great interest when I stay open to them at all times. And those things are all around us. Thank you for taking your time at work to read this post – when I feel that I’m forgetting to keep my eyes open I try to remember the shell. And I’m sure you’ll find something of your own that will remind you of the same. The most simple places hold awesome spiritual gifts. Your article is worthy of National Geographic Magazine. You’re so very right about the simple places and the depths they contain. And thanks for the very generous praise. I appreciate you taking the time to read and comment. i agree, we should look at world like a child — with naivety, admiration… it’s so sad, that with getting older, most of us become blind. it’s very well prepared article! Couldn’t agree more, be awake! While we often talk negatively of a ‘childlike view’ of the world, I think there are perceptive qualities in children far above our own. Many thanks for taking the time to read and comment. Thanks for reposting! Deeply appreciated. The child’s unconscious mind is like a sponge that absorbs everything and is observant of details. It is how Montessori described the mind of a child from birth-6. I wonder if this is what the American writer and naturalist, Barry Lopez, meant when he once wrote that ‘with the loss of self-consciousness, the landscape opens.” Like a child you are very appreciative of beauty and was able to illustrate it very well throughout your post. Thanks kindly for the compliments! And I agree with your thoughts on Montessori’s description of those extraordinary young minds, absorbing all that is surrounds. I appreciate you taking the time to read and comment. Thanks for stopping by! Much appreciated. Thanks, Blaine! I’d certainly like to have a look at the wonderfully named Vermillion Lakes – thanks for stopping by. These photos are a breath of fresh air… and a reminder to enjoy the fresh air every. single. day. Thanks for sharing! Thank you so much, Tori! For taking the time to read and leave a comment. Not at all! My pleasure, and thanks for being interested enough to repost it. Much appreciated. Beautiful pictures and beautiful post! I have often thought something like this, also. The pictures are all great. They actually show you the mood of Prespa. I agree with Tori Nelson, definitely: “These photos are a breath of fresh air.” They really are. The butterfly is intriguing. I have never seen anything like it. And I love the frog on the mullein leaves. Poor little bird! It’s a beautiful one. Thanks ever so much, jessiethought! There are a number of mullein species around here, many of which I’m still trying to sort out with my amateur skills! But it’s also nice when a plant or other species connects you to another place – I’m drawn to those crossovers, like your east coast mullein. I appreciate you stopping by and filling me in on a little of your world as well. It’s refreshing to come across something as profound as this. I don’t think I’ll ever look at an “everyday landscape” in the same way again. At times I think life would be easier going back to a more childlike state of mind. Stunning photography, and the kind of language I could fall asleep listening to… I loved it. Fantastic piece, and congrats on being FP-ed, it’s well deserved! Your kind words and compliments are deeply appreciated. Thanks for taking the time to read and comment. Hope you didn’t fall too deeply asleep! Thanks for sharing. I just returned from a long day spent biking from Cambridge Massachusetts, where I live, following any road that was open to me, coming up eventually on a small bike and foot path off a sidestreet that ran along a small stream that fed into the Charles River. The farther in I got, the smaller and more distant the sounds of cars and industry got until I was perched on top of long wooden bench, writing and listening to the sounds I remember as a kid in the Catskill Mountains. This is a great piece on the importance of remembering these places, and the exploration that goes with it. Thanks for sharing this superb little story of the everyday places! I loved reading about you finding your way along a stream until you ended at a bench remembering childhood landscapes. Superb, and so very apt! Much appreciated. Wonderful sharing – just looking with Apprecition of the Beauty Creates and Sustains Beauty. Ancient Wisdom tells this and now some areas of QUantum Physics have demonstrated this. So all the best to you and continued looking at the Earth Appreciating the Beauty. This is so great!! congratulations! I really would like enjoying Prespa this summer….. Thanks Silvia! Prespa is a lovely place to visit at any time of the year, but the summer is certainly a delight! Thanks for reposting! Much appreciated. So glad to find another soul like mine, who loves what can still be found of the natural world, and spends as much time as possible in it, absorbing its mystery like somebody drinking deep of the best wine, or rum, or Albinoni concerto. Julian, you forgot the dark places, where you can still see deep into the Universe at night, and fill your mind with that too. It is in such places that I suddenly get hit, wow, with something written beyond religious script, filling you with an unspeakable knowledge,…. beyond mere belief. The wonders of the vast night indeed, Colin! Last evening, while it was still light, the moon rose above the mountains. Through the telescope that we’d been using from the balcony to watch a pair of raptors we saw the most astonishing detail on its surface. The craters and ridges, the pale seas, all lit with the last of the day’s light. I don’t think I’ve ever been as near to feeling the enormous presence of the moon. A sublime sensation. Thanks so much for reading, and may your own connections to the natural world be rich. Your prose and pictures were anything but ordinary! Thanks for sharing! Thanks for the kind words, and for taking the time to read the post. Much appreciated! Great way to observe on your journey! It’s the same reason that I love the train rather than flying – it so often takes these wonderful routes beyond the reach of roads. And each of those places, as you so rightly point out, are new and full of promise. And so often our own places are equally revealing when we look closely….thanks for the kind words. Hope you enjoy your journeys! I feel the landscape and your words are so beautiful! Thanks for important reminder to connect to nature and notice, notice, notice!! Thanks so much, spiritinmatter! And I love your wonderfully simply and elegant reminder to “notice, notice, notice.” I appreciate you taking the time to read. Thanks for some phenomenal and very striking photos. They are just remarkable. Thanks so much for the thumbs up, Ron! All of them! Delighted that you enjoyed the post and photos; I deeply appreciate you stopping by. Brilliant photography and prose, Julian! And insight. I look forward to listening to your recording. Technical question: How did you get the audio button on there? So good to hear from you, Jeff! And thanks for the generous compliments; much appreciated from a writer of your calibre. I’ll send you an email a bit later with the technical details. Love the image of the rattan hammock and the fruit tree and you sitting with your niece! The simple pleasures are so close to the beauty of the everyday places. Thanks so much for reading, Jen, and for taking the time to add your own words. I love all your photos; they show the beauty in the world that we grow oblivious to as we grow older. Thank you so much for sharing. THis post reminded me of my first time camping in Southern California. I’m from Oregon, a place that has many attrations that are wilderness friendly, and many great landscapes as well, and I thought when I moved to SoCal I wouldn’t be able to see any more amazing landscapes. All there was to see was a good ocean view maybe. But I went to this one campground in Riverside that definitely changed my mind about the area. I wish I could post the picture, but it looks a lot like the mountain rage in your fourth pic. Thanks for the great story of discovering new landscapes when you least expect it! There is much around us to be seen and felt and experienced. Hope you enjoy you southern Californian journeys! Why do you think we don’t just observe, see, treat bugs, flies flowers and beauty: swift clouds, patches of light on hills, the sounds of wind, with enormous sensitivity as we would treat ourselves? Is it because of distraction, ignorance, we go on being disconnected – think these this things are outside us. Instead, prejudice and conditioned thinking take over, not intelligence which implies freedom to see and absorb? It’s a good question, David. It seems to me that there are many reasons for our particular relationships to the natural world – cultural, educational, economic, historic. Which is why I believe it’s so important for us to find as many ways of raising awareness to this shared planet as we possibly can. I’d like to think that eventually we’ll find a balance…many thanks for reading. I love your photos. They are gorgeous. Thanks T.L.A.! So pleased you liked them. wow! such wonderful photography. Awesome post! So pleased you liked it! Thank you for such a wonderful post:) We always want to travel far and wide in search of beautiful landscapes when there is so much beauty in the ordinary places like Prespa you have described. A child opens our eyes to the truth that nature everywhere never ceases to wonder and as adults we have to keep alive that sense of wonder and curiosity and keep that child in us alive:) Loved the audio too! Thanks ever so much, Sajeev! I really what you have to say about travelling far in order to ‘see’ something of interest, when all so often there is so much around us that we miss. Ideally we can appreciate the distant and the near at hand, widening our experience and understanding along the way. Delighted that you liked the audio as well! Thanks for taking time to read (and listen!) and for such a thoughtful comment. Enjoyed your blog – the pictures and sentiments. I must be a one in a million for even at 50+ I am still amazed and awed by nature and its immense beauty. I must stop by a blog which has photos of different places of the world for I have not yet travelled to any other country but I know now that I shall. They say when you loose your childlike wonder of things beautiful be they words or a picture or somebody’s effort then you have grown old and jaded and I wish never to do that to myself. I’d like to be the same at 90 what I am today and as I know that it is in my hands to decide what I want I shall choose good health, happiness and riches beyond my wildest dreams. If you like what I say then head over to my blog and learn how to get them for yourself. Thanks for the thoughtful reply. I agree with your sentiments and am delighted that you liked the post and pictures. Here’s to keeping that childlike wonder for things! Congratulation on such a wonderful post! When I looked at the pictures I indescribably felt peace. So, thank you! I’m so pleased that the photos brought a sense of peace to your day, Dini! I really appreciate that you stopped by to read the post. Thanks! I deserve copious amounts of Zen. anyway, stellar post – will def delve further into this blog fo sho. **yay for FP or I may not have stumbled upon you! Thanks for taking the time to read and hope you enjoy your look around. This is beautiful, thank you for posting. I especially enjoyed the reference to the perception of children. Thanks for the kind words – I’m pleased that you enjoyed it so much. Indeed, though I’d like to believe that balance can be sought. Thanks for reading. So often landscapes and places upset our expectations! I had a similar experience to you in India many years ago, when I discovered a wonderful intermingling of people and wild creatures in a densely populated part of the world. Those surprises, like the common open spaces, are so very important. Thanks for reading! Nature is things of happy! Excellent thoughts to ponder and fantastic images to accompany them. I enjoyed reading this very much. Amazing pictures! That’s an incredible story. People should realize that just average wildlife can be just as good. I’m currently studying abroad in Beijing and sometimes I find myself feeling down because I miss the ordinary places like the ones you described. They are so beautiful and alive. You can go there and see no one but yourself, blue sky, and birds. I’ve always tried explaining to people why small places that no one really thinks about are so important. Reading your post has cheered me up greatly, thank you for writing so clearly and thoughtfully. The “small places” you speak about really touch me, Lianna, and I can easily imagine you missing them. So often these are places that we’re intimate with in a wonderfully casual way, and they can have such a close impact on our lives. I’m pleased the post has cheered you in some way; and I hope you find some of these wondrous places again in Beijing. Thank you very much for the generous compliments. I’m so pleased you liked it; thanks for taking the time to read and comment. I hear ya, your concern! Nice read and of-course nice listening as well. Thanks! Glad you enjoyed the audio as well. Cheers! Thanks, Pete, for the mention of the river by the road! I love the idea that both types of place can co-exist and be of interest. I appreciate you stopping by. Thanks for posting again….much appreciated! i like the contrast of the picture. but beyond that, i like many people who saw this blog will kept the nature that belong to the next generation. Delighted you liked it, Wira, and I hope we can all take something of the natural world to be passed on to the next generation. Thanks for reading! I agree with you, the Earth is full of magnificent places but the majority are never seen or known by people. I am going to the great plains of Inner Mongolia this summer, and very excited to experience to infinite stretches of the grasslands. I heard that during nighttime, all you see are the stars in the sky and continuous sprawling landscape covered by mysterious darkness. Now there’s a part of the world that I’d love to explore – the Mongolian grasslands and steppes tented by sky and stars. I’m sure you’ll have a remarkable journey, full of richness. Thanks for reading, and for the very fine comment! It is amazing how many “ordinary” places I have found beautiful spots. Love the butterfly! Thanks for reading – so glad to hear you’re finding those beautiful and ordinary spots! Wonderful insights. They all ring too true, especially, as you put it, in our “gotta have it now” microwave society. More people should read this. Thanks kindly; I love the mention of a ‘microvave’ society! so pleased you liked the post, for taking the time to read. Cheers! We can’t see the beauty because we can’t see the forest through the trees very nicely done piece. Good photos !!! Check out todays blog. http://thor27.wordpress.com/ The Reason Sarah Palin will get my vote for President of the United States. Thank you, Changing Lifestyles, for taking the time to read. Much appreciated. I remember hiking when the friend of my mother said in a whisper, “You’re about to see something you’ll never see again in your lifetime.” With that she certainly had my attention. It was a lizard shedding it’s skin. She saw it…and I never would have unless she had stopped to point it out. You have pointed out many things I hope to see someday. Thank you for sharing. I can’t tell you what a wonderful compliment this is, Georgette. Your story of the lizard shedding its skin had me eager to see it myself – one of those unrepeatable moments in life. I’m honoured to have such a thoughtful reader. Thanks for posting this again; much appreciated! Thanks for the audio version! it is really very good idea to add it. Lovely to hear from you, Barbara, and I hope all is well. Being featured on Freshly Pressed certainly does bring some additional readers! I agree totally with you regarding our expectations, our sense of seeking the big things when so often we’re surrounded by the remarkably small, and no less important, wonders of the world. And I’m really pleased that you liked the audio as well! Best wishes from the south! Beautiful pictures. It’s so hard to find places that haven’t been spoiled by humanity. Enjoy it while it still exists. Thank you, Max! It is indeed increasingly harder to find unspoiled places but I’d like to hope that not all is lost just yet. Thanks for reading…. 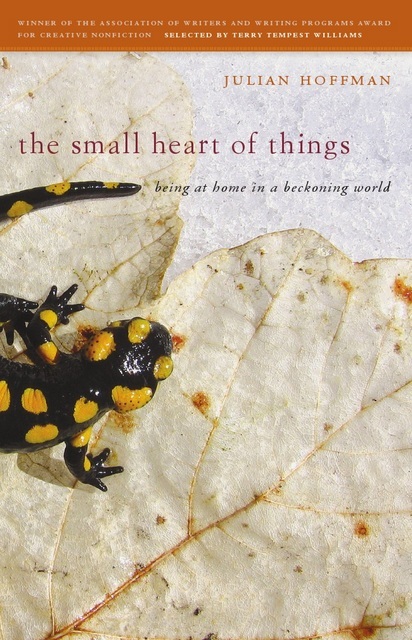 Thanks for this wonderful reminder to see the ordinary landscape as anything but that! I am lucky enough to live on a Federally Protected Wetland in the southeast USA. Sometimes it’s just “my backyard” but then I am reminded of how beautiful it is whenever we have someone stop by to visit that has never seen it. The audio was a great plus, as I was able to focus on the pictures while I listened, thanks! Great to hear from you and many thanks, as always, for your continued interest, Sister Earth Organics! It’s a delight to have you reading. Isn’t it so true that visitors often awaken us to the wonders of our own ‘backyards’!! And thanks for the thoughts on the audio – I thought I’d see how it went so appreciate the postive response. Take care! Very interesting post and good shots! And many thanks from far away, MJ! Delighted that you liked it. you story is beautiful, and the photos are most breath taking. Thank you very much for the kind words, libra923. I’m so pleased that you enjoyed the post. Thanks for this wonderful post. Through most of my life I missed most of the beauty of nature. when I was younger and now that I am older I am seeing it. It’s all around us, everywhere. Since my recent interest in photography, I see more beautiful things in ordinary places. I’m learning how to see them. I’m seeing things I never saw before. My eyes are being opened to all that Gos has given us in nature. Thanks. Thanks ever so much, Stephen. I’m delighted to hear that you’ve been able to experience some of the joys of nature of late; I think photography – that meticulous focusing of the eyes – can be a great way of uncovering some of it, of taking our view in new directions. Many thanks for taking an interest in the post, and for replying so thoughtfully. Thank you, louella. Delighted that you liked the post. As do I! I appreciate you taking the time to read the post. It requires a lot of patience to stop in the route in order to take those amazing pictures. The interesting thing about this comment is that it will be one of many. The number of comments on this post says it all. Your photography is simply sensational. Browsing through your work has proven to be very enjoyable and I appreciate the effort that you have put into it. One of the things I love about the photos I have seen here is their uniqueness. The genre of your photography (nature) is far from unique, but the things you choose to capture are one of a kind. Your eye sets you apart from the competition. I am a young blogger. I started out about 3 months ago on Blogger and my site has grown to a respectable size. Recently, however, I decided to give WordPress a try. I transfered all of my posts to WordPress and customized the layout to be similar to that of my Blogger page. Overall I love the capabilites of WordPress but feel very small in comparison to bloggers like you. You are very inspirational to me personally, in both photography and blogging. Thank you for your commitment to this blog. Firstly, although your comment may be one of many on this particular post, I am extremely grateful and touched that you’ve taken the time to add such a thoughtful response. I can’t tell you how pleased I am that you’ve been enjoying the posts and photograpy. I appreciate your kind words. Beautiful post and amazing photographs. Thank you kindly for the compliments! I so understand what you mean! I was born and raised in the Western United States, but for a year and a half recently lived on the East coast… for the first time in my life I got to see Fireflies! It was completely amazing to me… each night in the season, I would go out at twilight to look at them. They are just little ol’ beetles, but so totally cool! And back here in the West, the disappearing farms and fields that are familiar, loved, but far fewer than they were… no, you don’t have to travel the world to see amazing things, if you only keep your eyes and heart open. Indeed, mamanne! I like what you say about travelling: “if you only keep your eyes and heart open.” If we stay true to this wherever we are there is a lot that might be revealed. The fireflies here will begin appearing any evening now, small spots of drifting light. Beautiful. Thanks – so glad you liked it! Loved reading your blog and seeing your photographs, and well done on being freshly pressed. Thanks, Mariellen. I appreciate that you’ve taken the time to read and comment. That was something really amazing, something that touched me deeply! As I listened to the audio and enjoyed the pictures, I felt my loss. During my childhood many of my relatives thought I was crazy as I used to spend a long time beneath the trees, on the banks of the little stream and in the paddy fields, looking at the little birds ( I come from one of the most beautiful places in the world). But now, though I am far away from that place I could still feel them. Your article brought me back those wonderful experiences. I should say one more thing, finally: THANK YOU! This is such a wonderful and thoughtful comment, Bindu John. I’m deeply honoured by your generous compliments. I’m so pleased that the article brought some of your earlier experiences back to you, and I deeply appreciate you taking the time to read, listen and reply to the post. Thank you, Nahila! It was a joy to hear from your teacher, Mrs. Bindu, and I’m also delighted to hear from you! Thanks for the kind words…. All your observation is really true. after i read your post in which you said children are amazed by every little cute scene , i observed my cousin . it is really true……..!! every small thing she saw is very very amazing for her. i realize that children enjoy the nature very much. Beautiful and truthful post and wonderful photos. The sound option is terrific – made me think that you’d make a brilliant actor and audio book reader. Thanks ever so much, teeleem! I think there is great possibility with using audio on blog posts, and with writing in general. I love the idea of recording an audio book, but my acting skills are abysmal! You’ll have to trust me on that one! It has been a long time since I saw picture after picture that was incredible, each in its own way. Each one I saw I was wondering how I can turn it into a wallpaper for my computer. I would frame them and hang them up- they are exquisite. Very interesting article, thanks for the share. Congrats on FP! Thank you for reading; I really appreciate you taking the time. Cheers! Such beautiful photos – quiet observations – thank you for sharing them. I live on Vancouver Island, so beautiful here. I bet it is! Thanks…. For once, I am happy to be so late in. I am encouraged by the abundance of sympathetic sentiment in the comments; the affirmation of nature-love in the human spirit. If each of us who have read and listened to this inspiring piece and viewed the touching images would take in hand one child in whom to pass on and nurture this love, then balance might be restored. In exchange for the gift of a (self-conscious) excuse to squat at the side of a busy road, sharing in the wonder of a budding wildflower or wriggling insect, that one child, at least, would not grow up to be the one who leaves garbage where it mars common or extraordinary landscapes. He or she might grow up without loosing the sense that “there is no such thing as a place without interest”. Thank you again, Julian for a beautiful and inspiring experience. I hope you can continue to post the audio, I enjoy the personal connection to the text. As always, Cindy, you bring such a clear and inspiring eye to these discussions. Making that connection between what we read, see or believe and how we act when in the company of children is so crucial to our, and their, future. Thanks ever so much for drawing that out, for linking our words with actions. Like you (and we’ve discussed it at great length lately) I’m extremely encouraged, and often overwhelmed, by the thoughts contained in so many of these comments. There is a durable bond between us and the natural world that, however degraded and compromised it might be, could hold the seed of renewal in that relationship. I feel greater hope, after the line by Rick Bass, this weekend than I have for some time. I’m also really pleased that you liked the audio. I haven’t yet decided whether to use it on all the post, or now and then for effect. Any thoughts?? Thanks ever so much, Cindy; your continued interest and own beautiful work are an inspiration to me. Whoaw! Gosh! Do you live there? Yes, I do! So glad you liked the photos…. Hope to get to Prespa someday! I teach k – 5 and want to share your animal photos and the overflowing trash can with them. They are so aware of life’s changes at that age. I try to impress upon them the appreciation and love of nature and how we can help life grow. Thanks, Terry! I’d be honoured if you wished to share the photos with your schoolkids. Anything that helps us all appreciate a little bit more…. Interesting thoughts and beautiful pictures. Something to think about. Pingback: The Wonder of Ordinary Places (via Notes from Near and Far) « Gee Golly! Great Voice, you should be doing voice overs, if that is your voice. I wish they would hire non-celebrities for Planet Earth and other wonderful nature videos. Thanks for that! It is my voice and I think I’ll be using more audio on the blog, but Planet Earth has a pretty fine narrator in David Attenborough! This was a worthwhile topic championed, exquisitely done, a treasured treat to listen to instead of just read, and it inspired me to write again today. Kudos, and many thanks. Thanks ever so much, sailingspirit! Delighted you liked it, and honoured to hear that it inspired you to write today! Happy writing…. Thanks for the lovely reposting and excerpts! A very elegant blog that I’ll be looking at as soon as I get a chance. I really like the images you have posted, great photography. There’s so much truth to it, and it very well represents my sentiments about the world which has become so obsessed with the fast track and is missing out on the magic of ordinary things. We have to be like kids – always curious, always appreciative, even with the simplest and smallest of things – in order to find the real beauty of life, which obviously isn’t about career or wealth. No joy can match the one that we feel when we are truly captured by the wonders of what’s around us. I hope we can all connect with the child within us and embrace the world with more curiosity. Wonderful to read such a terrific comment this morning, Cerszy! Firstly, I’m delighted that you enjoyed the post so much, but secondly I’m drawn to what you have to say in general about joy and the way we live our lives. You’re so right in pointing out that the simple elements of our days can bring that joy that the ‘fast track’ isn’t capable of doing. It’s always good to be reminded of these things, so thanks! I’m very pleased that you liked the audio! very nice photos, really like your blog post. nice audio background too. Thanks for stopping by! Delighted you liked the work. Wonderful post! I have for years had a yearning to find and be content living in an ordinary place. I found it and it is called Kentucky, USA. I think honestly it could be where ever I am and of for that I am grateful. Thanks for sharing! Thanks kindly, the jaggedman! Finding a place to call home is no minor thing – and I’m especially inspired to hear you say that it could be wherever you are. A true treasure of a post. I agree with what you say about children, and I definitely agree that nature is always beautiful and precious…perhaps even more so when it is ‘ordinary’. Thank you for sharing the wonderful words and beautiful photos. How true? we spend a fortune going to exotic places but ignore the beauty in our backyard. one has only to see beyond what others make us to see and one is likely to come across boundless beauty. most people visit exotic and famous places to impress others but not for themselves. i remember a beautiful piece of poem which poet rabindranath tagore wrote of the beauty one comes across seeing the dew drop on a leaf in the early hours of the morning. really liked your piece. Thanks for bringing such a wonderful image as the dew drop on the leaf to the post, hiraman! Tagore is a poet that I’ve long admired for his wisdom and insistence in seeing the beauty in the simple, earthly world. I appreciate you taking the time to read and respond so thoughtfully as well. Excellent work, Hoff; another fine, insightful and reflective piece that takes your readers to the intimate heart of our relationship with our environment. As one comment observed, your writing is beautiful not because you’re trying to engage in all sorts of fancy lexical filigree (see! ), but because match the clarity of your vision with clear and resonant language. See what I said about your writing needing a wider audience; seems like you’ve got it! Fairly soon you’ll be needing your own batallion of comment-answering elves to keep up! Ahh, I don’t know if you had this in mind though, did you?! It’s been a pretty startling weekend, my friend. But a wonderful lesson in the breadth of positive voices that are out there spanning the globe. And it’s been a delight in getting to know some of them. Thanks as ever, Pete, for your fine and generous and supportive words; they mean a great deal to me. Now where can I find those elves on their day off?? I love you blog, and your pictures are beautiful!!!!!! Thanks for the words of encouragement!! Much appreciated. I appreciate the reposting! Thanks. Thanks for thinking of Notes from Near and Far….much appreciated! Thanks kindly, Charlie! Can’t tell you how pleased I am that you liked the photos so much. And a happy Monday to you as well! Thanks, Sprightly Writer! I’m honoured that you’ve reposted the piece in this way. your photo-essay is beautifully crafted, a balance of beauty and blame. Hope I can do as well some day. As a youth in Canada I would often spend time alone in Ontario woodlands, later in BC mountains. Native American friends taught me how to live at one with the wilderness, but then the dumped beer cans, clearcut felling, pollution must be taken as personal insults. Hated my climbing instructors & others who want to ‘conquer’ the mountains! Spent a lot of time on Dartmoor, usually packing out with a lot more rubbish than I went in with. But mostly it’s an ecology of balance between agriculture and wildlife that has evolved over centuries. Just spoiled by the occasional ignorant tourist. And had similar experiences to you when I was in Crete. Now I live in a small Turkish village, but too close to a tourist town. But we’re old and need access to ‘civilization’ like supermarkets and hospitals. There are wonderful hills and lakes, old Greek ruins, rural villages and farms off the tourist routes. Fly-tipping and casual neglect also a big problem here. Many thanks for the thoughtful comment; I appreciate your interest and the stories you tell. It seems that we’ve spent time in almost identical countries: Canada, England, Greece. Though I’ve visited Istanbul I haven’t had the opportunity to live in Turkey. Not yet, anyways! I can relate to what you’re writing about, particularly as casual neglect takes specific forms according to where you are, as though encoded in the DNA of a people and place. Though of course it’s usually about the cultural and economic relationship that a unique group of people have to the land around them. Still, over the course of hearing from people this weekend, I feel as though the possibility exists that the balance you speak of could be restored. We’ll see, but in the meantime we can celebrate those “wonderful hills and lakes” of yours. Hey I really love your blog. I am not very savvy on themes or layout and am wondering if your theme is one that I could find or if you designed it yourself? How did you get it? I think it’s really easy to follow and I love your work. I was just about to reply to you, Kaia, but you beat me to it. Did you manage to find what you needed – MistyLook theme on WordPress. And none of it is designed by myself, though you do have a certain latitude in how you set it up and what you choose to emphasise. The turtle made me smile! So true, its sad that many people are too busy these days to appreciate the landscapes and nature around us. Thank you for sharing truly breathtaking images! I look forward to reading more of your inspiring writing. Thanks for this wonderful comment, and for the link to what looks like a fascinating project. Although I don’t know a great deal about the ‘hima’ system, I was extremely taken by it when first hearing about it because of its interconnectedness – both between environment and livelihood and among the people of a specific community working and considering the land, water and other aspects of their locality. It strikes me that this old idea could teach many of us in the contemporary world a great deal about our approach to the shared environment. I look forward to reading it. Many thanks again for your kind words and for taking the time to comment and bring the project to my attention! This is beautiful. I wish I could go to the places you go. Someday…. very lovely pictures, thx for sharing! Julian — I finished the audio version of this essay right after a busy day teaching high schoolers. Sometimes I bemoan their lack of motivation, their obsession with their phones, and as hard as I try, some days make me doubt that as seventeen-year-olds they care much about wonder. But then there is a stark, blue sky after days and days of rain. A bird outside the classroom window. Heat. And they become the versions of themselves that you so beautifully capture here. We are all capable of it — actually seeing the ordinary places. Essays like yours are just what we need to inspire us to look. This was a joy to read. Thank you! Thanks ever so much, Emily. It’s a delight to hear this story of yours, and inspiring as well. Writing this essay I wondered what the cut-off age might be, at what stage in one’s life we slip from the world of childhood interest into a more self-conscious and sophisticated existence. I placed that threshold far, far lower than high-schoolers, so your mention of them becoming “versions” of themselves in response to the sky and heat and birds is significant. Perhaps childhood carries on, buried within, to emerge at certain times and places. At least that possibility of engaging that you talk about is still there. The great and mysterious importance of it. Thanks for your very kind words and it’s wonderful to be in touch. “Perhaps childhood carries on, buried within, to emerge at certain times and places.” — Agreed. Surely we were all born with wonder; it gets pushed down and away more quickly and fully for some people than others, but–given the right moment/place–I believe (hope!) that everyone is capable of finding it again. Be well! Wow, your photos are great. Very inspiring. Thanks for dropping by – delighted that you liked them. Thanks for that! Glad you liked it. Great photos, really shows another side of Greece. Sometimes the ordinary is the most beautiful. Thanks kindly, Justin. Delighted you liked this other side of Greece. Thanks for taking the time to read. What an amazing post, Julian – and I can see that I am one of many who think so – no surprise! Life is so much richer when we take time to see the wonder of the ordinary…I’ve certainly found this to be true in my life. Best wishes and thank you! Thanks ever so much, Cait! It’s always a delight to hear from you and I appreciate you taking the time to read. Having spent much time enjoying your own forays into the wonders of the ordinary I think we share a common sensibility! Best wishes to you also and hope all is well with you…thanks for taking the time to read. Beautiful post. I had the same fascination as a child, and since my husband and I moved from urban England to rural Wales, I’ve got back some of that child-like wonder at the nature that’s around us, mostly because in childhood everything experienced is new – senses are developing, awe is the key, and here in an environment that is so much more natural than urban streets, it’s new to me again. Thanks very much, Matthew! Delighted that you liked it. may god bless you !!!!!! other than this i could not say any words…..
As soon as i opened your blog i listened to the audio version of ‘the wonder of ordinary places. I like the way you read it. And the one i liked the most is your pics. It is just awesome. where did you take all these pics from?. Can you share with us the secret how you do it?. Thank you for giving us this kind of blogs. Hi Nazlin, I’m very pleased that you liked the audio version of the post. Your thoughts are much appreciated and I’m delighted that you like the photos. I’m not sure what the secret us, other than patience. I take a long time photographing these things in nature, waiting for the right light, or a butterfly to settle. I get as close as I can in whatever way I can! Crawling, climbing…a bit like being a child again basically! The myopia of familiarity. Places, like jobs or music, can fade into the ambient hum of routine. A few days ago I walked around my parents garden and was astonished at the diversity of insects and plants and biotic vitality that was going on in a patch of dirt I’d pretty much assigned as known territory for close to a decade. Loved the post, it is very true, and important for a variety of reasons, not least of which is the necessity of preservation. “The myopia of familiarity” – I like that, Devin. As I do your connection of place with jobs and music; how it can all take on a dull quality over time, become a part of routine. So that a ‘patch of dirt’ can suddenly reveal a teeming world of life when looked at closely. Thanks very much for adding your thoughts and this terrific example. It’s greatly appreciated. Delighted you enjoyed the post! Let’s keep it green indeed! Thanks for reading. I like the way you read this and the pictures were just awsome. Thanks Sahla; very pleased that you liked it! I only just got relatively reliable internet and finally got to read this. It’s truly inspiring, Julian, and encapsulates my entire outlook on nature and conservation beautifully. I wholeheartedly agree that the moment you manage to form a connection, no matter how small, with a place, your desire to preserve it increases exponentially. I get probably the most satisfaction in my life by watching that light go on in people’s eyes when they make that connection, when they see something they never noticed before, something that suddenly makes everything around them beautiful and magical. It is like being a child again and I commend you for helping light that spark in as many people as you can both through this blog and through your other work. Thanks, Heather! I have a feeling we share a lot in respect to our approach to nature and conservation so I’m delighted that this resonated with you so deeply. We had a friend visiting last week who’d actually lived here some years back. As we wandered by the lakes one day we stopped nearby a European bee-eater colony, arguably the continent’s most colourful bird. We passed our friend a pair of binoculars and pointed him in the direction of one of the birds settled on an overhead wire and then watched with amazement as his face actually filled with colour and a smile deepened so intensely that he hung on to the binoculars for the rest of the walk instead of handing them back as he usually did. Seeing that small connection, made in a moment, was as joyful for me as for him I believe! Thanks for the very kind words and hope all is well with your own works of wonder! That sounds like an awesome moment, Julian. What a treat for your friend and for you to witness. I think for me, the power of connection with nature really solidified when I was doing my Ph.D. Thesis. I needed a lot of help and ended up taking all sorts of volunteers into the field with me. You plunk a baby saw-whet owl into someone’s hands and it’s magic. They’re these tiny, fluffy birds with huge eyes (http://www.flickr.com/photos/22058583@N05/2132694314/in/set-72157603534565425) that no one ever sees and suddenly I’m showing them that there are all sorts of wonders hidden in that woodlot that they pass on the road every day. It was very powerful. Actually, any time I take someone owling, there’s usually some moment that really engages them, whether we see the bird or (more likely) just hear it. It’s like this transmission through the wilderness and suddenly they’re picking up the frequency and everything just clicks. Things are fine on this side of the pond. Great job, again on the article and all the best in your neck of the woods. These are marvellous photos, Heather! I’m deeply envious of that closeness and feel that I need to stop by to do some owling myself! Your image of people suddenly picking up the frequency through the wilderness is extremely compelling. There’s an interesting story in there somewhere as well, I believe! Thanks again for the inspiring photos (I’ll be sure to follow more from now on as well) and speak soon. I’m glad you like the photos, Julian. It’s been a few years since I’ve been able to work with the little guys regularly, but I’m building up my nest box network here in Manitoba, so hopefully I’ll see them again. If you’re even in my neck of the woods, you’re welcome to come owling :) However, the best time of the year tends to be the end of winter. I’m glad you like the frequency analogy. It’s currently percolating in my brain and may yield a new blog post, hopefully soon. This is a wonderful comment to read this morning, Melissa! I’m ever so pleased that the post has touched you in this way, and it’s a great pleasure to know that there are people like yourself working at making those important connections to their local place in a variety of ways. I also love the idea of being a butterfly monitor! I wish you the very best at your painting and hope to stop by your site some day soon. In the meantime, to the wonderful weave of art and place! I’ll concur with you that the “ordinary” places can be those where we most often connect to nature. I remember the “vacant” lots of the Long Island suburbs where I grew up, where native species still flourished and creeks still ran, though surrounded by tract houses. Here in Austin, for the past few months I’ve been visiting a commercial site whose old, rundown buildings have gradually been getting razed in preparation for redevelopment of the property. Dumpy the site may be, and adjacent to a discount warehouse and a fast-food restaurant, but I’ve photographed sunflowers, ants, peppervine, velvet gaura, various bugs, ragweed, goldenrod, cedar elm, etc., there, and have have spent pleasant hours doing so. Thanks for these fine thoughts, Steve. I love the sound of these places you’re describing – the vacant lots and rundown buildings, the warehouses etc. There can be so much to be discovered amongst these areas that we often dismiss so I’m very intrigued by your project in Austin. Thanks for reading and leaving a comment, and I’ll be dropping by your own page to have a look at some of these flowers. Enjoy the explorations! What a beautiful post! That burnet moth looks like he is dressed up to go to a masquerade ball. All that is to say, I totally agree with you, and I am excited to see that other people are spreading this message! Thank you for your fresh photos and words! Thank you, Emily! The burnet moths are some of my absolute favourites. I’m fascinated by your theme of fading magic as we age. Some of that wonder that’s native to kids is so easily lost along the way. 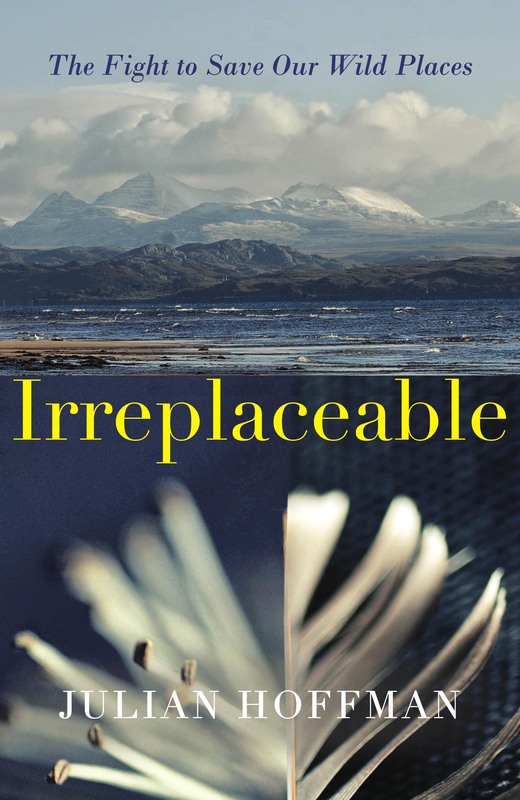 A re-enchantment is needed, which is beautifully summed up in the final statement of your book. Thanks again, it means a lot to me that you’ve enjoyed this post so much.